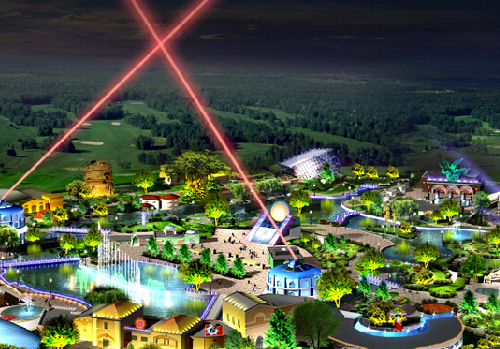 Changchun Film Century City is China’s first world-class film theme park. A heavy investment by Changchun Film Studio, the cradle of Chinese movies since the founding of the People’s Republic of China, it is a wonderful destination for people seeking fun and magic and fond of fairy tales. In addition to advanced high-tech movie technologies in the world and some of the best practices of the Universal Studio and Disneyland, Changchun Film Century City is also reputed as the “City of Special Effects” with the most complete state-of-the-art special effects such as IMAX 3D, 4D, laser suspension, and dome screen. Scenic spots in the area include the Galary Palace, Crazy Lab, the Kingdom of the Elves, the Exhibition Hall of Property Vehicles, the Interstellar Exploration, the Volcanic Eruption, the Spatial Lost City, the Volcano Eruption, the Passage of Time, the Haunted Castle, the Cartoon Strip, and the Speed Shuttle.